I associate Anthony Young with Powerball, the multi-state lottery phenomenon which launched around the same time the Mets’ tragic hero bravely battled through a 27-game consecutive-loss streak. Young, everyone knew, deserved better than 27 straight L’s, which occurred over a mix of starts and relief appearances between May 6, 1992 and July 24, 1993, all while wearing No. 19. 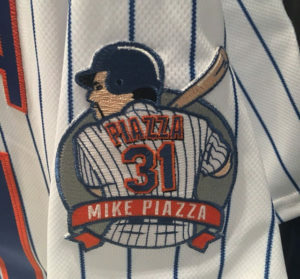 He made his Mets debut the year before wearing No. 33, but put that aside when the club acquired future Hall of Famer Eddie Murray over the 91-92 offseason. I’m not a lottery guy by any stretch but the buzz around Powerball and attention around Young was such that I’d tried it a few times and started a losing streak of my own. My Powerball number, in case you needed to guess, was 19 every time I played in support of his class and dignity as he faced his cruel fate. We all lost with him, and we all probably deserved better. Young died this week at age 51 of a brain tumor. My friend Rory Costello has authored a great biography here. Long-suffering minor-league reliever Josh Smoker got the call yesterday as the “26th man” on the roster, as dictated by double-header rules but the lefty failed to make an appearance as the Mets split Tuesday’s twinbill with the hated Cardinals. Smoker — a one-time top draft pick whose ascent was interrupted by injuries and a stint in independent ball — headed back to Laguardia following the game but maintained his spring-training assignment of 49 in his non-appearance. As you know by now the Mets will officially retire Mike Piazza’s No. 31 in a ceremony on Saturday, and reveal the digit in its new location in the left field corner. The club is also expected to wear ceremonial uni and hat patches for the event as pictured here. Mike looks a bit like a cartoon character here but to be fair his home runs often looked like something out of a fertile imagination themselves. Finally the MBTN Hall of Fame has a new member. An outrageous display of awesomeness.